This book has been a hard work of love. 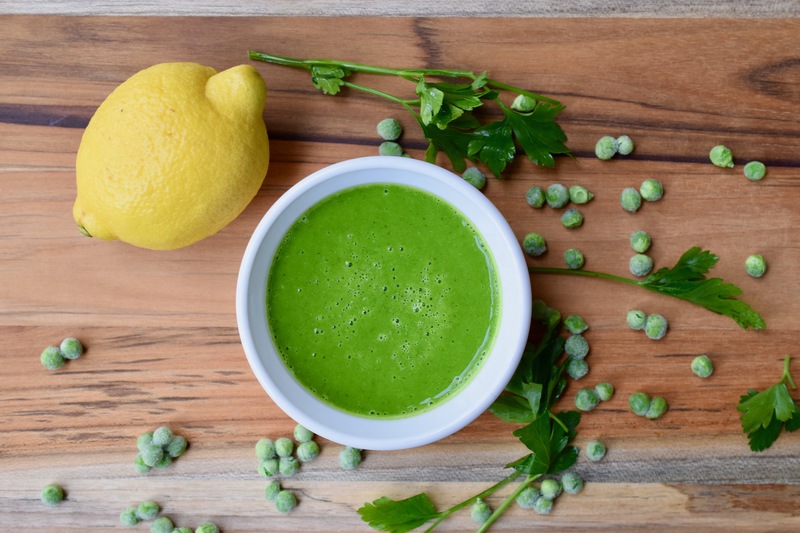 I am excited to share this book of healthy and delicious recipes with you. It can be found online at Amazon or Barnes & Noble for the hard copy and the e-version at many different sites. I also have it available in my store. 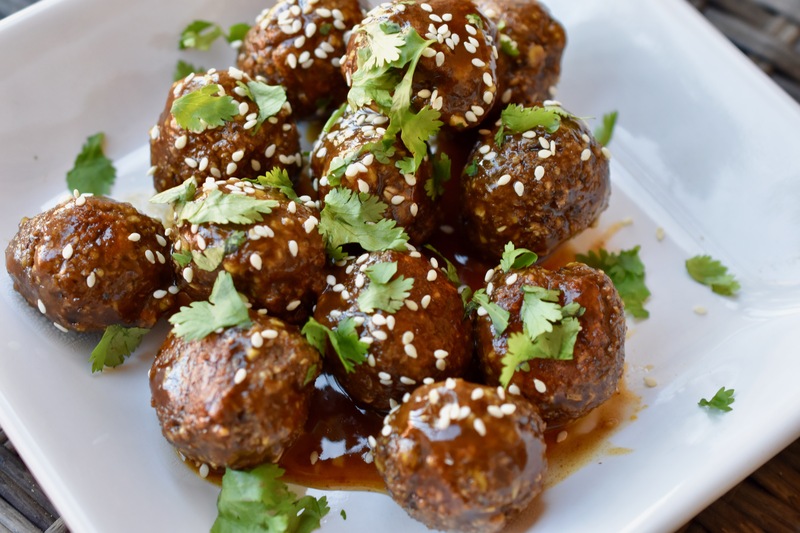 It is my joy to share these recipes that make Whole Food Plant Based eating such an adventure. Join me on that adventure through all my recipes. The recipes are tried and true. They are recipes that I use often and even some of them daily. 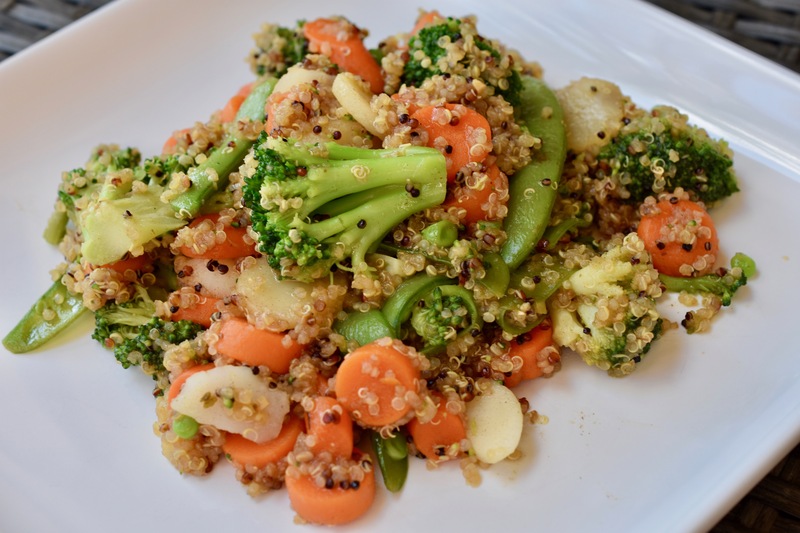 I cover everything from basic items to keep your plant based gluten-free kitchen stocked. Of course, there is a section just for condiments. The condiments take the meal to the next level of goodness. Need some soup or salad ideas? Maybe some appetizers for a gathering. I have got all of those in this book. 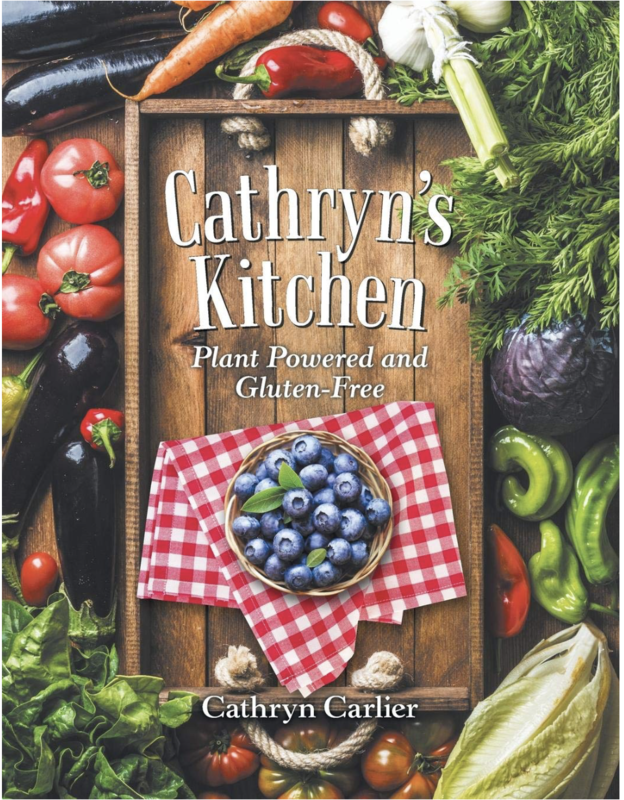 Cathryn’s Kitchen: Plant Powered and Gluten-free Cookbook will give you ideas for just about any meal or snack, and even some treats. It is a good resource when you have run out of ideas for meals, or you are just wanting to expand your culinary repertoire. 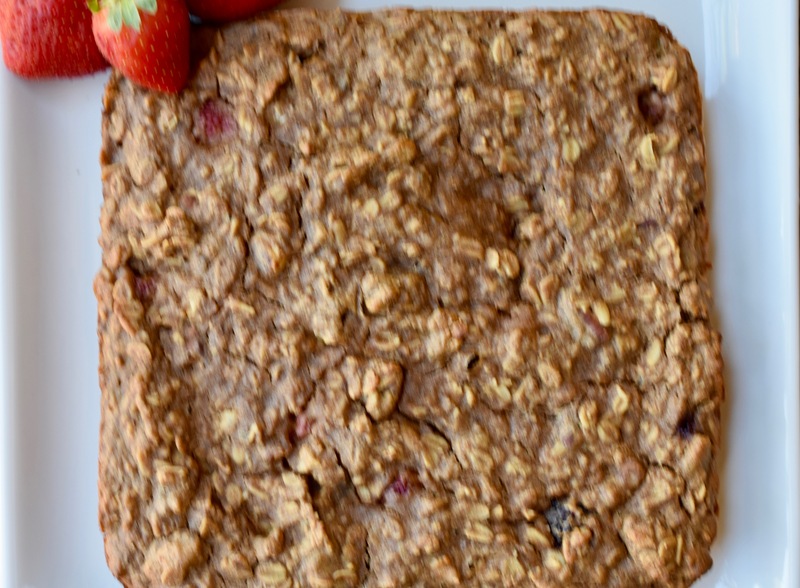 All the recipes have been tested multiple times and approved by omnivores and vegans alike. My hope is that this cookbook will be a go to friend that is well loved. Because this cookbook was written with love and a desire to share the goodness of a plant powered and gluten-free kitchen. This Tropical Snack Loaf is a cross between a bread and a cake. It is a twist on my Lemon Macadamia Loaf. I had made up some mango paste for something I had made for a client, and I had some leftover. This Tropical Snack Loaf was perfect for the Mango Paste. The Mango Paste is part of what makes this snack loaf tropical. Plus, a little coconut cream. Mango and coconut, what a perfect combination. Preheat oven to 325 degrees. Line a 9x 5 loaf pan with parchment paper. Combine all the wet ingredients in a medium bowl, and set aside. Whisk together all the dry ingredients in a large bowl. Add the wet ingredients to the dry ingredients. Stir until the ingredients are well combined. Spoon in the dough/batter into the prepared loaf pan. Bake for 55-60 minutes, until the loaf is golden and evenly browned on top. A toothpick inserted into the center of the loaf should come out clean. Let cool in the pan for 15 minutes. After 15 minutes remove loaf from pan and let completely cool on a rack. Combine all the ingredients into a high-speed blender. Set aside for at least 20 minutes to let the cashews soften. Blend the ingredients together until creamy and the icing is easy to drizzle on the loaf. I had intended to make my Raspberry Chocolate Hazelnut Bites, but found that I was out of raspberries. However, I did have some blackberries so I decided to give it a whirl. I do like to experiment with different fruits and flavors when I make snack bites. This one was a happy success. Combine all the food processor ingredients into the food processor. Process until smooth and creamy. Transfer the mixture to a large bowl. Note: You can make your own oat flour by grinding oats in a food processor or spice grinder. Stir in the oats and chocolate chips into the blackberry mixture. The dough should be stiff. 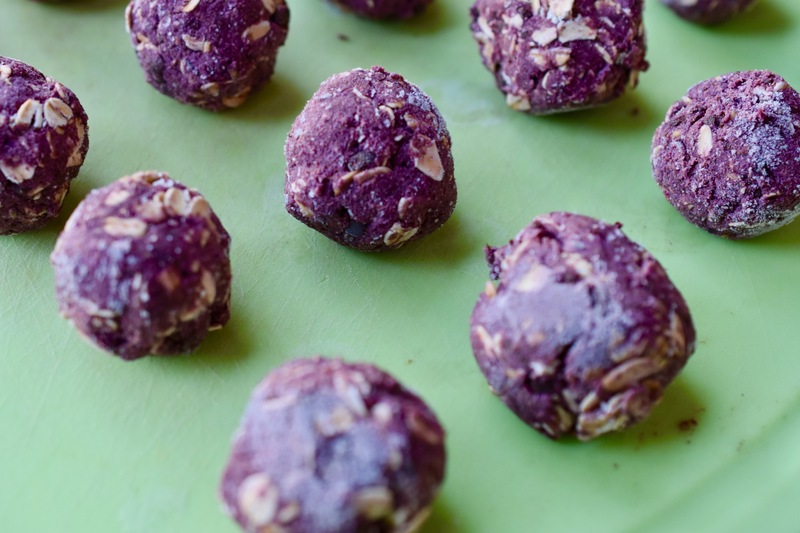 Roll the dough into walnut size balls. Freeze the bites for about 30 minutes to firm up. They can be store in the freezer or the refrigerator in a sealable container. This recipe makes about 24 bites. I make this Peanut Sauce every week. That is no joke. It is my favorite Asian sauce. It is great for Peanut Noodles or as a dipping sauce for Spring Rolls. For some unknown reason I have never posted this sauce all on its own. It definitely deserves a post of it own, because it is so good. Combine all the ingredients into a saucepan. Cook the sauce over medium heat until it has thickened, about 5-10 minutes. Store in a sealable container in the refrigerator or freezer. I had some carrots and parsnips in the crisper drawer that needed to be used. Also, I had some baby potatoes that needed to be used. Out of necessity that is how I came up with this meal. These veggies will be great for a base for a bowl. Just add some beans and greens and you are all set. By using two sheet pans of veggies I will have a big start on quite a few meals for the week. Preheat oven to 400 degrees. Line baking sheets (I used two) with a silicone mat/parchment paper . Place carrots and parsnips on one baking sheet. Sprinkle All-Purpose Seasoning on top of the carrots and parsnips. Place baby potatoes on the other baking sheet, and sprinkle All-Purpose Seasoning on the potatoes. Roast the vegetables for 20 minutes. After 20 minutes, stir all the vegetables and chick for doneness. Continue to roast from 10-20 minutes. the vegetables should be fork tender. When the vegetables are done transfer them to a large bowl. Add the chickpeas to the veggies. 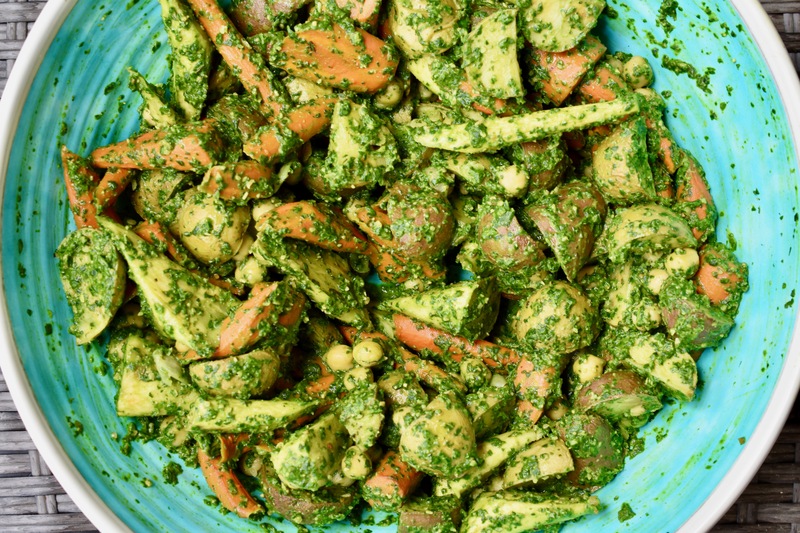 Pour Spinach Pesto over the vegetables and stir so that all the vegetable are coated. 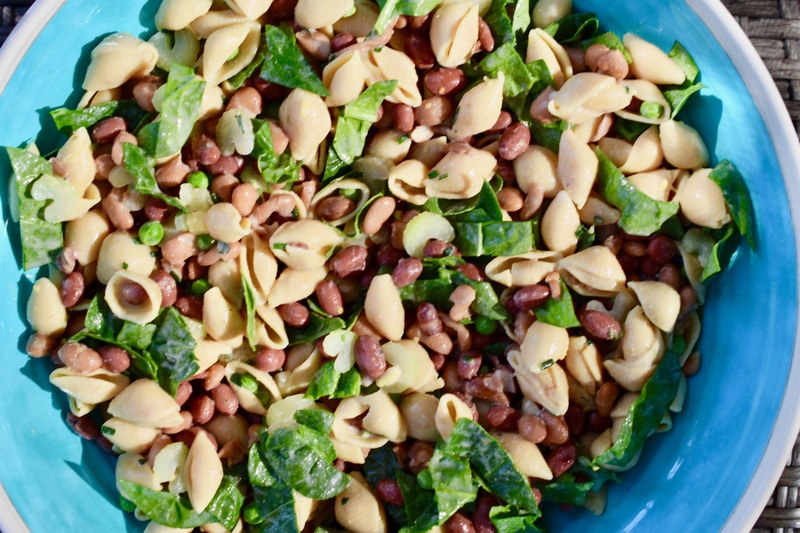 Serve as is or add some greens and non-starchy veggies. YUM! 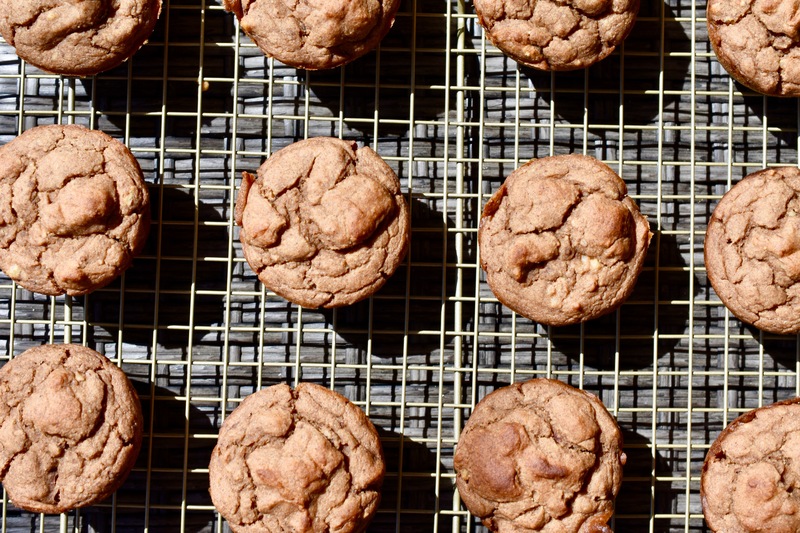 Is the perfect word for these Peanut Butter & Chocolate Chickpea Brownie Bites. They are the perfect combination of Peanut Butter and Chocolate, creamy and crunchy. You cannot go wrong with these. You can change them up a bit with almond or cashew butters and nuts. They make about 30 bites, so there will be plenty to share, if you want. Combine chickpeas, peanut butter, oat flour, cocoa powder, Date Paste, vanilla and salt into a food processor. Process until smooth and creamy. Add chocolate chips to the chickpea mixture and pulse the processor to break up the chocolate chips. Transfer mixture to a bowl and refrigerate for about 15 minutes to firm up dough. The dough will be somewhat soft, even after refrigerating. Form dough into walnut size bites. 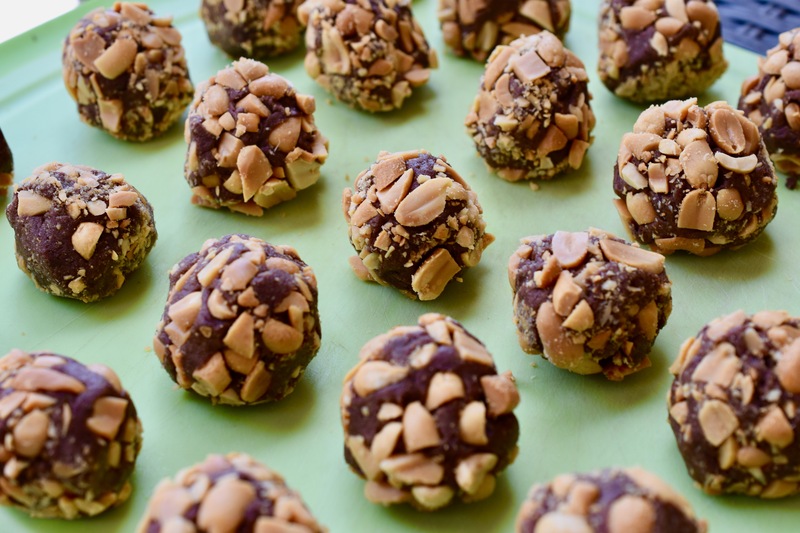 Roll the brownie bites into chopped peanuts. Freeze for about 15 minutes to firm up. Note: I did not give a measurement for the peanuts, because it is a matter of how crunchy a coating you want on the brownie bites. I like to completely cover the brownie bites because the bite itself is very creamy and the nuts give it a nice contrast in texture. These bites freeze well. You can store them in the freezer or refrigerator in a sealable container. 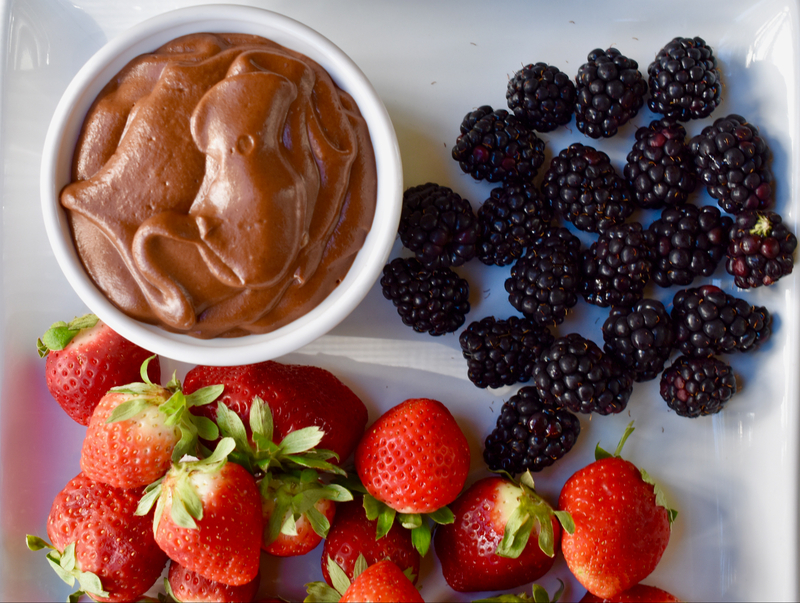 I had ran out of my Healthier Chocolate Hazelnut Spread and I needed some to make some Blackberry Chocolate Hazelnut Snack Bites for a client. My original version is light and airy, great for a cake frosting or filling. I wanted to make one that was more creamy in consistency. Just one little tweak made all the difference. Now I have both types: one for frosting and fillings, and one for dipping, drizzling and whatever else I can come up with. I promise this version you will want to keep on hand in your refrigerator. Combine all the ingredients into a high-speed blender. Blend on the nut butter setting. You may need to stop and scrape the sides down. Just start over. This actually only took about 2 minutes to blend. Taste for sweetness and adjust as needed. I have been wanting to try making some blender muffins. I love recipes that only require one vessel to mix and blend. Basically the less I have to clean up the better. What I really need is a sou chef , but that is not going to happen. So blender muffins it is. Preheat oven to 400 degrees. Prepare muffin wells. Add dry ingredients to the wet ingredients in the blender. Blend the ingredients together for another 50 seconds. Add the pecans to the batter. Pulse blender 2-3 times. Pour batter into prepared muffin wells. Bake for 18 minutes. Let muffins cools about 10 to 15 minutes in muffin pan. Transfer muffins to cooling rack to finish cooling.